Today you will get various car rental services available in the market that offers Chandigarh to Shimla cab, however, not all of them are reliable. At WooCabs, we offer the best car rental service in terms of comfort and package prices. Our package prices are very minimal and our drivers are well-experienced as well hence we also ensure a safe journey to your destination. By booking a Chandigarh to Shimla car rental service, you will be able to reach Shimla very comfortably. You can take rest on your way to Shimla whenever and where ever you want and start again with your journey once you feel refreshed. Some of the places of visit in Shimla includes Jakhu temple located at a height of 8048 ft from the sea level. The temple is dedicated to Lord Hanuman and gives an amazing view of the skyline. The city also offers some fun activities, for instance, ice skating, fishing and trekking. If you are an adventure lover, you will surely enjoy your visit to Shimla. Choosing a car rental service is one of the best ways to reach Shimla from Chandigarh. Travelling via a Chandigarh to Shimla taxi service is very comfortable and time-saving at the same time. You can very easily reach Shimla from Chandigarh within 3-4 hours if the road is not very crowded. Hiring car rental service from WooCabs for your travel from Chandigarh to Shimla will be very safe since we offer well-trained drivers who can easily drive on hilly roads. Moreover, we also provide travel insurance and we follow a transparent billing policy. You can book a car rental service for your recent travel to anywhere by visiting our website, alternatively, you can download our mobile application from Google Play store and proceed with the booking process. Our website is very user-friendly hence you will have no difficulty in navigating on our website. When it comes to providing car rental options to our customers, WooCabs will never disappoint you. We at WooCabs, offer a wide range of car rental options to our customers to make sure that you get the car that suits all your travel needs including your budget. We have cars for budget travellers as well as people looking for luxury travel cars. To know more regarding our car rental options, keep reading! At WooCabs, we offer the best Chandigarh to Shimla travel packages. We offer very economical packages that everyone can afford. We maintain a very transparent billing policy and we charge our customers for the service that they avail from us. We do not charge a penny more. Once you are done with the complete booking process, you will receive every detail regarding the car rental service package that you have selected. Alternatively, if you book our service via our app, you will receive notification. We at WooCabs believe in offering the best service to our customers at a very reasonable price range. Since we follow a transparent billing policy, you will not be charged a penny more and you will also have an idea regarding all the services that you are paying for. Below we have shared information regarding our billing process. Driver’s allowance: This is pretty simple and only comprises of the driver’s food and lodging expense. It is calculated by multiplying the number of days a car rental service is hired for with the basic expense needed for the driver for the trip. 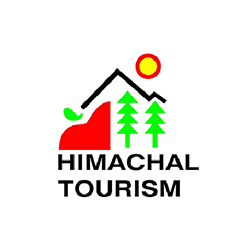 We offer both Chandigarh to Shimla one way taxi service and round trips as well. For any query regarding the services offered by us, call on (+91) 9779-390039. Our customer service agents are available 24x7 and are happy to help you.